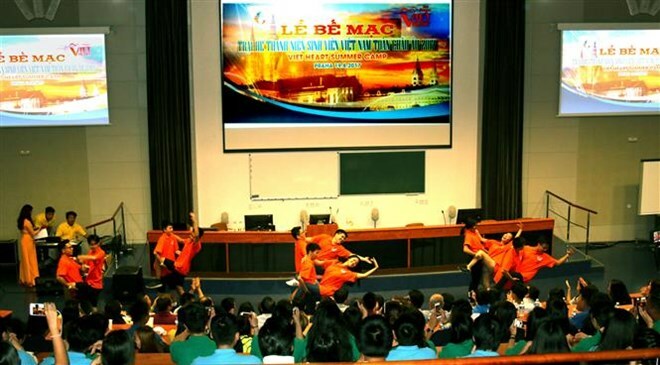 Prague (VNA) – A four-day summer camp for Vietnamese youth and students in Europe wrapped up on August 19 in Prague, the Czech Republic. The third “Vietheart Summer Camp” 2017 gathered over 300 representatives from Vietnamese students and youth associations from 12 European countries and Vietnam to meet and share life experiences as well as strengthen solidarity. It also helped enhance participants’ sense of responsibility for their nation. The camp featured numerous activities such as challenging games and workshops on start-ups, Vietnam seas and islands and Vietnamese culture, among others. A lantern festival and an intellectual competition also took place at the event.